HALIFAX -- Inmates with chronic health issues at the Central Nova Scotia Correctional Facility are raising concerns about the lack of intercom systems to alert correctional officers if they face a life-threatening situation in their cells. "If anything ever happened to my heart, I'd have no way of getting them (correctional officers) in here," said Smith, who is incarcerated on a shoplifting charge. Documents released to The Canadian Press under the Freedom of Information and Protection of Privacy Act after a four-year process indicate that intercoms on the unit had been disconnected earlier without authorization, in contravention of the prison's rules. Some inmates told the Justice Department investigator who looked into the Cromwell case that this may have caused delays of 10 to 15 minutes in response, after inmates yelled at nearby cells where they believed intercoms were functioning only to find the intercoms weren't working. The province has declined all comment on the report or the claims, citing the ongoing lawsuit by Cromwell's family against the province. Marinoff and Smith said in interviews that the intercoms in two special cells -- known as "barrier-free" cells -- hadn't been working, but were recently repaired. But they say more cells should have the buzzers. Heather Fairbairn, spokeswoman for the Justice Department, said that during the day correctional officers are in close proximity to the inmates and thus able "to assist and respond as needed." "In addition to direct supervision, the facility's barrier-free cells are also equipped with intercoms to support those with mobility or other challenges. The intercoms are audited weekly to ensure they are functioning," she wrote. "Inmates with serious health conditions would be placed in the health units." "My blood sugar could go so low that I could fall over and have a seizure. A half-hour round to check isn't sufficient," he said. "I was shaking and I almost lost my vision, and I waited 15 minutes for the guard to come and do a round. The person beside me said there should be a buzzer in the cell, but there's not," he said. "The government owes a duty of care to every individuals they have in custody and whose well-being is fully dependant on the state," she said in an email. "The prison populations are sicker than people in the community, present higher rates of mental illnesses and suicidal predispositions; they are at higher danger of being victims of violence, and overdosing. ... These risks don't exist only in 'disability cells,' where some intercoms are located. 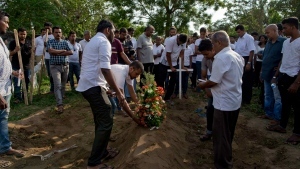 "It is hard to see how the government can discharge its legal duties to those they have in custody when they don't provide a basic, reliable mechanism in which they can be alerted of emergencies. Towel waiving is not such a mechanism," she wrote. "Disabling intercoms or failing to provide them in every single cell is a gross violation of the government's legal duties." 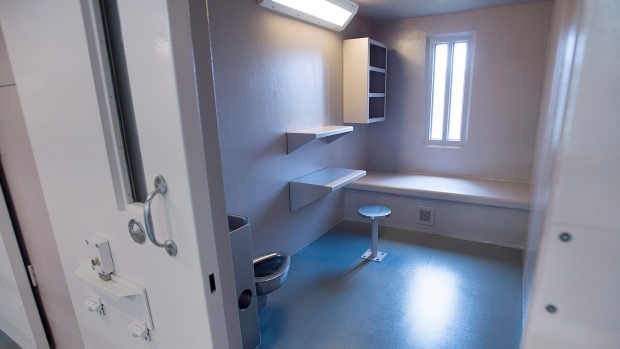 Jason MacLean, president of the Nova Scotia Government and General Employees Union, takes a different view, saying that intercom buzzers haven't been included in most cells during facility renovations for years because inmates abuse them. "I think an intercom is a good tool for somebody that may have ability issues or just got out of hospital or is under duress of some sort," he said. "It is a hindrance for facilities when you're constantly checking call bells for somebody who just wants somebody to come to their cell door." "You might have one person in here using if for a nuisance, but the other ... guys on the range might seriously need it," said Marinoff, who has been in the prison for three months for a contravention of his drug trafficking sentence. "I could go into a coma and never wake up again."